to join a small circle of 6-9 persons to explore three essential aspects of feminine consciousness and experience. : MOON, VENUS and LILITH. This path of awakening engages women and men in fuller grounding of our feminine field of being. We all, men and women, have that we call our feminine and masculine sides of experience. What does it mean to be a man or a woman? Gender identification is not a clearly defined issue in these modern times— perhaps because the dance of our internal feminine and masculine aspects is opening to a new rhythm. A more essential question is: what does it mean to be a fully realized individual? This 5-week series is set up for 5 Saturdays starting July 18. Every one of these Saturdays open a special Venusian window of opportunity, moving through the retrograde cycle that begins July 25. There will be an experiential component to each session to ground our awareness. A special part of our time will be sharing our own experiences, background and understandings. There will be worksheets and home play suggested so that the material from our class times keep rippling in to the shores of our understanding like waves in the sea. I am attaching this 10-minute AUDIO in which I share more about these three aspects. The planetary energies are going to be extraordinarily in tune for our rich investigation. This workshop is timely to prepare for the upcoming Venus retrograde cycle of emotional renewal through the GATEWAY of the SPHINX. The planet Venus reaches the threshold between Leo and Virgo just as it turns backwards to retrace a section of the zodiac. This cusp evokes the image of the Sphinx, with the body of the Leo the Lion and the head of Virgo the Goddess. With a mysterious smile, the Sphinx asks obscure questions that make us reconsider what is meaningful and true. 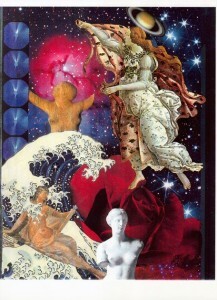 During her retrograde period of 40 days and 40 nights, the goddess Venus does the same. She calls us within, internalizing our emotional experience. Come talk to me, she says. If you want to be happier, we need to talk. Venus gets us in touch with our emotional intelligence. By the way, certain groups of people will experience a stronger impact from this Venus retrograde cycle. Sun sign Leos, or anyone who has the Moon or a planet in Leo— raise your hand! A whole generation of people have Uranus in Leo—1955/56—1961/62; and Pluto in Leo—1938/39/40—1956-57. These folks will feel a consciousness shift ripple through their whole generation. If you are in the transition zone of the last couple of years, with one of those planets in early Virgo, you can smile and step into this special circle as well. That’s why I am offering these groups now. I am planning two groups—one for women only, one open to men and women. Women open to a fuller dimension of their feminine being. Men come to understand women better. We all, men and women, gain insights into our feminine side, which holds our values, our sense of beauty and joy, our sense of self-esteem, our emotional intelligence. We appreciate more fully the richness in our lives. This perspective fosters emotional maturity, allowing us to open more deeply and truly in relationships. As goddess of love, Venus refers particularly to the quality of our relational experiences. Especially when retrograde, she brings us back to our primary relationship: our relationship with ourselves. Venus wrote the Law of Attraction, a perennial truth, which teaches that our emotional state of being attracts the quality of our experience to us. So you see, this is a good time to explore these various facets of the feminine that contribute to our fulfillment. In Eastern Daylight Time, the early session is at 11am-1:00pm EDT; the later session is at 7:00-9:00pm EDT. I’m hoping this invites participants from a broad geographic spread. kellhunter@earthlink.net or 802-456-1078 (in Vermont, USA) or via Skype @ starladykelley. I will want to know your time preference and whether you prefer a women only, or joint group. I will also need your birth information. $170 fee is payable by check or paypal. We will gather via Skype conferencing (you don’t need to have Skype account). As usual, I will record the material and send via MP3s, for continuing reference and in case you have to miss a session. Whether you are joining a group or not, you can request a PERSONAL CONSULTATION to look at three aspects in your life: $170 for 90 minutes, $120 for class members as a deeper, personal follow-up to the series. The groups are shaping up well, with very special people signing in.